Author Rosslyn Kanu addresses the important topic of missing kids in her children’s book, The Little Girl Called Princess: Princess, Where Are You? Written for children, in a voice they can understand and relate to, The Little Girl Called Princess is a book that parents can read with their children to initiate conversations about rules and safety. Princess has moved into the city with her family. She is adored by all of them, especially her grandfather. One night during a black-out, Princess goes missing, and it is up to her and her family to bring her home again, safe and sound. The statistics for missing children are alarming; In America, more than 2,000 children are reported missing each day, according to the U.S: Department of Justice. The ever-growing problem of missing children is one that parents need to address with their children, but all too often, the topic is sensitive, confusing, or upsetting for little ones, and parents are unsure where to start. The Little Girl Called Princess is an excellent book for both parents and kids, and can help to introduce and start discussions about this crucial topic. Reading this book together can also be a helpful way to initiate and explain rules about safety and strangers, as well as helping kids to understand the importance of knowing their own information, such as their address and phone number. A gentle way to bring up a difficult subject, The Little Girl Called Princess is a perfect book for parents who are ready to introduce rules about safety, and ideal to help children understand a very confusing topic in a way they will be able to relate to and identify with. Author Rosslyn Kanu has provided parents with a crucial tool in the process of helping their little ones grow up well and safely, and The Little Girl Called Princess is one they’ll be glad they read with their child. Rosslyn Kanu graduated from DeVry University in Houston, Texas, and obtained her bachelor’s degree in management. She has also worked in the healthcare and retail industries for several years. She wrote The Little Girl Called Princess for all of the missing children in the world, wanting to bring the topic home for both adults and kids and raise awareness of this growing problem. She lives in Texas. Flynn’s novel is a creative new take on the genre. out to be two completely separate things. already garnering fans across the internet anxiously awaiting her next supernatural novel. In his recent TED talk, Srikumar S. Rao., Ph.D., discusses the ways that individuals are able to tap into what he terms “hard-wired happiness”. Rao’s uplifting discussion focuses on investing in the process of life, not the outcome. By investing in the process, happiness can be realized by anyone, at any point in their lives. In his inspiring talk, Rao suggests that each person, no matter who they are or where they come from, is hard-wired to be happy. Each person in the world has a passion, a drive, existing within them, but so many people are focused on the “how” of being happy that they do not realize that they already are. He also states that everyone, without meaning to, can buy into the “Mental Model”, the ways of thinking that are ultimately detrimental to them, and by doing so, they are unaware that their lives are already wonderful. Rao has a name for this type of thinking: he calls it the “if/then model”. Defining that model as each person thinking “If only this were to happen – then I’d be happy”, Professor Rao outlines the powerful tools each person can utilize to move beyond that model and find the happiness that already exists in their lives. In addition, Dr. Rao also encourages individuals to “focus on the Universe as it is”. He asks each person to think of a time that they were purely, freely, and innocently happy, and then reminds them that in each instance that they recall, they had simply accepted the Universe as it was, not how they thought it ought to be. Rao suggests that by adopting this mindset in everyday life, the focus will then be on the process, not the outcome, and each person can then take the journeys in life that will matter to them the most with the knowledge that they have already achieved happiness. To the inimitable Professor Rao, happiness is not a goal, it is a reality. Dr. Rao received his Ph.D. in Marketing from the Graduate School of Business, Columbia University. He has been a contributing editor for Forbes and writes regularly on management practices, leadership and about the impact of technology on business processes. He also has written for other national magazines such as Inc., Business 2.0, Hemispheres, Beyond Computing and Training and was a contributing editor for both Financial World and Success. He is a member of the American Society of Journalists and Authors. Dr. Rao was an executive with Warner Communications, Continental Group, Data Resources and McGraw-Hill and has consulted with such companies as RCA, Reuters, Citicorp, GTE, Pan Am and Diner’s Club. He has been a seminar leader with the Institute for Management Studies and the American Management Association. Dr. Rao has regularly taught at top business schools including Columbia Business School, London Business School, the Kellogg School of Management at Northwestern University and the Haas School of Business at the University of California at Berkeley. He has served as a marketing advisor to the national board of MENSA. For more information, please visit www.areyoureadytosucceed.com. Follow Dr. Rao on Twitter @SrikumarSRao. 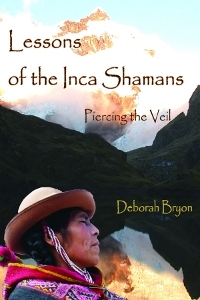 Author Deborah Bryon, Ph.D., takes readers on a journey through both understanding and transcendence in her book, Lessons of the Inca Shamans: Piercing the Veil. Vividly told and richly detailed, Lessons of the Inca Shamans are recollections of the author’s own experiences with the Q’ero shamans in Peru. This first-hand account describes Bryon’s four years of initiations into the rites of the shamans, and her struggle to integrate what she learned with her everyday life back in the Western world. On the condition that she would share her newfound knowledge with others, she challenged herself to reach beyond her own limits and learn what she could about the wise and mysterious ways of the shaman. Chronicling her journey and her extraordinary quest to find more meaning in life, Bryon manages to seamlessly interweave the things she was taught in Peru with her wonderfully clever, self-deprecating humor, her experience as a Jungian analyst, and the myriad ways in which she discovered she could integrate what she learned with how she lived. In addition, she analyzes her experience with Jungian insight, providing an interesting dichotomy of science and spirituality. The central theme to what the shamans wished her to pass on focuses on the interconnectedness of all things, both physical and spiritual, and the unbreakable connection that human beings have with the Earth. Throughout the book, Bryon provides suggestions and exercises for the reader, encouraging them to work the lessons of the shamans into their own lives. Richly told and stunningly moving, Lessons of the Inca Shamans is a fascinating glimpse into a world that most people will never have the amazing fortune to see. A perfect read for anyone who is on a spiritual journey of their own, Bryon’s account of her profound experience is both engaging and enlightening. 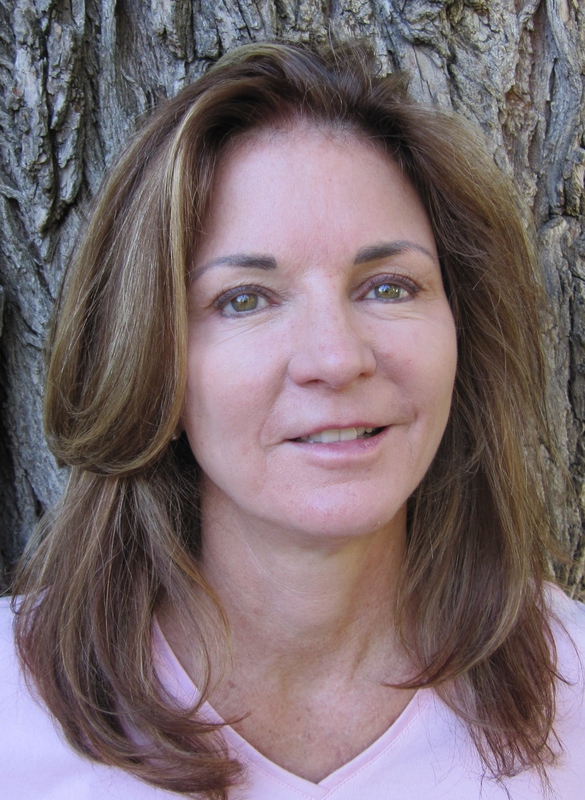 Deborah Bryon, Ph.D. is a Jungian analyst in Denver, Colorado. Since 2005, she has received in-depth training with Q’ero shamans in Peru. She has undergone a series of sacred initiations with the shamans she has worked with, and now teaches classes, writes, and leads groups that combine Jungian depth psychology, psychoanalysis, and shamanism. She lives with her husband, Perry, two dogs, a cat, and a macaw in Colorado. Voices from a Far Field is author Calvin Bowden’s stunning novel of love and desperation during the Great Depression, and the lengths people will go to in order to protect those they love the most. Beginning and ending in the present day, Voices from a Far Field transports readers back in time to the troubled days of the Depression, and the lives of those who lived it. The story of Heck Tennel, a man who has lived as another man for more than 60 years, Voices from a Far Field opens as he waits patiently for the law office on the other side of the street to open. Having fled his hometown years before, Heck is about to receive another letter that will explain the urgency of the one he received earlier in which the writer begged him to return immediately. However, going home is never easy, especially for Heck. Taking readers back to 1935, this moving novel reveals Heck’s tumultuous past, one fraught with regrets and mistakes that he must now answer for. Returning to the small town w near the farm where he grew up, Heck remembers the darkest day of his life – the day he was accused of a heinous crime and had to leave everything behind, including the only woman he ever loved. Fighting to save his family and his closest friend from death and destitution, his choices led him down a path from which he cold not escape, even in a new life. A novel of our greatest passions, both past and present, Voices from a Far Field is interwoven with themes of honor, corruption, and the racial tensions of the time period. A beautifully told tale of love, redemption, and forgiveness, this elegant novel is one that readers will find themselves swept up in until the end, not wanting to miss a word. Brilliantly written, with a vivid and intriguing voice, Voices from a Far Field is an engaging story that will remind readers of what is truly worth holding onto. A Texas sharecropper’s son, Calvin Bowden served in the Air Force during WWII, after which he received his B.A. in Sociology and an M.A. in Criminal Corrections. After working for thirty years with both juvenile and adult offenders, Calvin finally had the opportunity to write Voices from a Far Field, a novel that recollects his early years of struggle and turmoil during the Great Depression, and defines the experiences and events that occurred both to Mr. Bowden and to those around him during those years of desperation. For more information, please visit http://www.calvinbowden.com/. Read Calvin Bowden’s blog at http://www.calvinbowden.com/Blog.htm. Author Marianne Curtis reveals her own personal, heart-wrenching, and, ultimately, inspiring story in Finding Gloria. Her past is laid bare in achingly honest detail, and her willingness to share her story with resonate with readers everywhere. 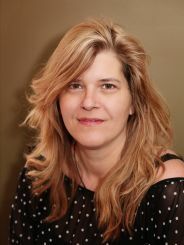 Pouring her own hardships out onto the page, Marianne Curtis recounts her experiences growing up as an adopted child: adopted at birth, she was raised in a household where she was subjected to terrible and heart breaking forms of abuse. Her adoptive mother repeatedly tried to break her spirit, insisting that she was worthless and unwanted. In a desperate attempt to escape her circumstance, Curtis fled, as a teenager, to another city. Desperate for acceptance and love, she married at age eighteen, and, by twenty-four, had four children. Her insecurities from her traumatic childhood followed her, however, and eventually led to the dissolution of three marriages and her own mental breakdown. Finally, after the death of her adoptive mother, Curtis searched out her birth family, found them through Facebook, and eventually came to a place of love, healing, peace, and acceptance through the family she had not known for more than four decades. An inspiring story about rising from the ashes of our pasts, Marianne Curtis’ memoir is written in a pure, vivid voice, and draws readers in with her will to survive despite the seemingly insurmountable struggles that she faced. Finding Gloria is one woman’s incredible story of love, loss, redemption, and forgiveness, even in the face of devastating events. A beautiful and moving tale, Curtis’ raw emotion and fragile hope is revealed through her candid prose and unbreakable spirit. For more than a decade, Marianne Curtis has been the head writer for the Dawson Trail Dispatch. During that time, she has published more than 7,000 articles in the monthly paper. Writing Finding Gloria was her way of healing from the past she details, and finding peace with her life. Originally intended to be an outlet for her own healing, Curtis has been surprised and touched at the stories she hears from readers and the way that her story has helped them to share theirs. Watch the book trailer at http://www.youtube.com/watch?v=VlEHac4KDeo. Trust Your Enemies: a Political Thriller is a story of power, corruption, love, betrayal, and moral redemption that will have readers on the edge of their seats, racing to the gripping conclusion. Alison is the indispensable “right hand” of the next Prime Minister of Australia. Only a heartbeat away from achieving her lifelong goal, she is in danger of losing that dream when she becomes caught in a dangerously high-stakes web of power and intrigue, spun by Frank McKurn, a devious and Machiavellian politician. Using every source she can think of in her quest to bring down McKurn, Alison realizes that time is running out for her as, one by one, they begin to disappear. An informed journalist ends up in a coma, an elusive hacker who holds incriminating evidence is forced into hiding, and a police officer she trusts is removed from a crucial investigation. In the end, there is only one person left that she can turn to – her first love, Derek Olsson, a man who broke her heart and her trust years ago in one fell swoop. The two have no one left but each other, and, unbeknownst to them, they must depend on one another to survive. As Olsson runs from a crime he claims he did not commit and a bounty is released on his head (preferably without his body attached), he and Alison must stay two steps ahead of those who pursue them – including a deadly assassin who is shadowing their every move. Interwoven with deeper themes of the psychological motives behind power and corruption and the eternal human desire for freedom and individualism, Trust Your Enemies is a powerfully charged, emotional, and thrilling race to true freedom that will have lovers of the genre furiously turning pages to reach the fantastic and shocking conclusion. Mark Tier began writing Trust Your Enemies more than 35 years ago, and his novel is the culmination of his first foray into fiction and political thrillers. In 1974 his first, non-fiction book, Understanding Inflation, became a bestseller in his native Australia. His articles have appeared in magazines everywhere from New York to Sydney, and still managed to find the time to write several science-fiction stories, including two Prometheus Award-winning anthologies. His retirement from the investment business enabled him to complete his lifelong work of fiction, Trust Your Enemies, which is now available in both paperback and Kindle e-book format. For more information, please visit http://www.marktier.com. Read Mark Tier’s blog at http://marktier.com/eclecticinvestor/. Dr. Srikumar S. Rao, the author of Happiness at Work (McGraw-Hill) and Are You Ready to Succeed? Unconventional Strategies to Achieving Personal Mastery in Business and Life (Hyperion) has been challenging the notion that work and misery go hand in hand for years. His Creative and Personal Mastery Course has become wildly popular among MBAs, teaching them how to be happy both in business and in life. His advice is timely, as more and more people are relegated to jobs that they find less-than-satisfying, feeling as though they ought to be grateful in a time when unemployment is high and how the upcoming election will change the job market. More than ever, people feel stuck and feel as though being miserable at work is a fact of life. Start focusing on the process, rather than the outcome. Realize that passion comes from you, not from your job. Stop Labeling Events as “Good” or “Bad”. Realize that You Are Playing a Role. Know How to Let Things Go. Dr. Rao conceived the pioneering course Creativity and Personal Mastery. This is the only business school course that has its own alumni association and it has been extensively covered in the media including the New York Times, the Wall Street Journal, the London Times, the Independent, Time, the Financial Times, Fortune, Forbes, the Guardian, Business Week, and dozens of other publications. He has conducted workshops attended by and spoken before executives of Microsoft, Google, Morgan Stanley, American Express, Chubb, IBM, United Airlines, Allstate, Johnson & Johnson, Goldman Sachs, and dozens of others. For more information, please visit http://www.cpminstitute.com/.